Welcome to Burbank Airport Limo Service. When you choose to travel abroad, whether it is for pleasure or business, you already feel nervous for some reasons. Some questions continuously strike your mind such as, where you would park a vehicle in the airport or if it is a new place for you then how you would communicate with others? In this situation, we take care of all your worries. 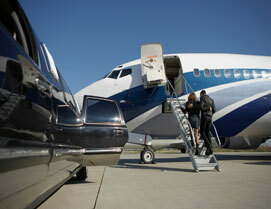 We provide high-class Burbank Airport limo service in the Greater Los Angeles area. Is your flight scheduled to land at the Burbank (Bob Hope) Airport? Then you need our help. We are locating just a block a way from Burbank Airport.The airport area is so big that finding your way through can be really cumbersome. Apart from this, the continuous flow of crowd might add a fear in your mind, making you feel jitterier than ever. At this point, you need someone to show you exact directions or to take you to the desired destination. 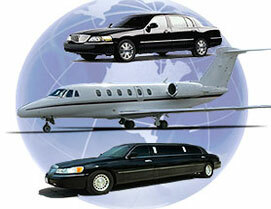 Our Burbank Airport limo service is here to serve you and provide an enjoyable experience. You just need inform us the exact time to receive you and one of our chauffeurs will be waiting for you at the airport exactly on a given time. He will greet you at the airport and take you to the car. We are well-known for our on-time services. Are you carrying plenty of baggage with you? Don't worry, our elegant chauffeur will take all your bags and store them securely inside the vehicle. Our limos have enough space to store all of your bags and possessions. Thus, you don't need to hold your bags tightly on your shoulder during the travel. When you seat in our limos, we want you to take some rest after long hours of journey. We have a big and up-to-date collection of vehicles to choose from. Our accommodation has no limits on size or crowd. Our fleet consists of the premier quality party bus, exclusive Sedans, Limousines, Mercedes-Benz, SUVs,Sprinter vans and is furnished to surround the customer with relaxing lavishness accompanied with the newest technological facilities one anticipates from a limo service. Security, comfort, and contentment are our major priorities. Therefore, we keep our limos stocked with all necessary amenities such as bottled fresh water, cold drinks, reading materials etc. In addition to this, our wide range of vehicles also contains the cars that are specially designed for families with children. These cars have child safety seat to look after our small and sweet passenger. These facilities are hard to find in other Burbank airport car service providers. Now you can book our Burbank Airport limo service with the help of our most advanced online booking platform. Our convenient, safe, and prompt online booking system makes the reservation process easier than before. Just select the destination, vehicle, and time; that's it! let us follow you back with the most reasonable quote. 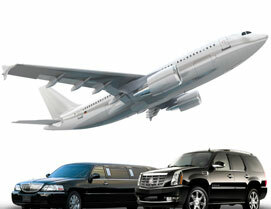 You can also call us to book a limo for you and one of our representatives will promptly and eagerly answer your call. A convenient, comfortable and reliable transportation service to the airport is a huge relief for anyone irrespective of whether you are a frequent flier or an occasional traveler. The online search will show you thousands limo services to Burbank airport or LAX and leave you thoroughly undecided as to which Burbank Airport Limousine service you should choose. The next time to have to go to airport, book with Burbank Airport Transportation. Unarguably, we are the most reliable limousine service company providing airport transfers from all parts of Los Angeles.